The Ideation Lab is a pilot project investigating new teaching modalities at Bryant University. An innovative layout combined with flexible furniture and collaborative work surfaces have made this project a new model for forward-thinking educational practices, encouraging new types of interactions between learners and educators. 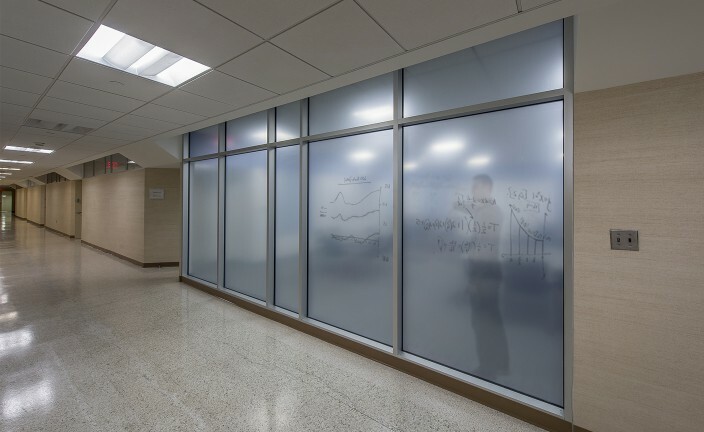 Working collaboratively with Bryant University educators, LLB Architects designed this learning environment to foster collaboration between students and between students and educators. 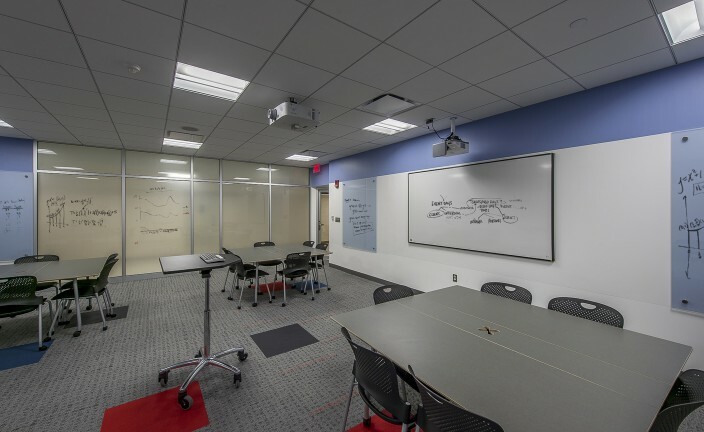 As a room oriented “in-the-round,” the classroom features writable surfaces on all walls. Rather than lecturing from the front of the classroom, the educator is free to navigate through the room, and easily able to engage with students to guide discussion or present ideas.